We have some extremely exciting news here at BOKS: researchers from Mass General Hospital for Children published research showing that the BOKS program not only improves BMI but also impacts children’s school engagement, vitality and general happiness. 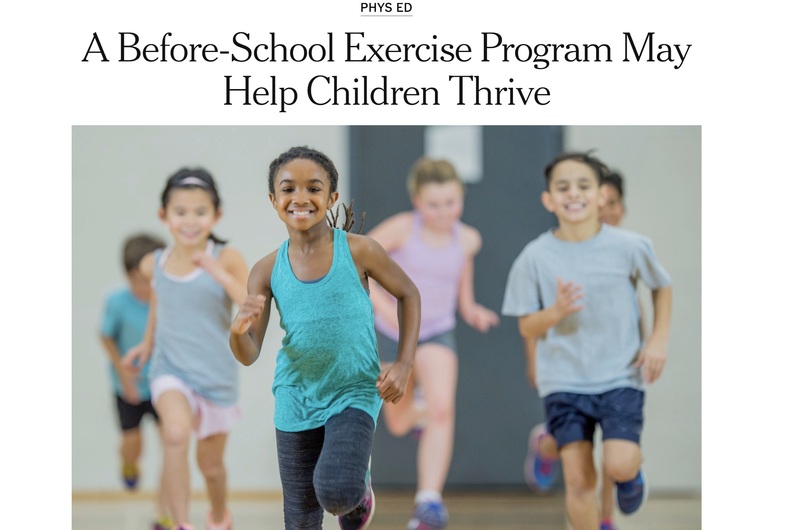 Not only was the study published in the American Journal for Preventative Medicine but widely respected New York Times Journalist Gretchen Reynolds covered the results of the research in her article, ” A Before-School Exercise Program May Help Children Thrive ” (included below). We have always known that BOKS improves our children physically, mentally and socially but the results of this study will help our community prove the value of the program to administrators, parents and volunteers. If you have experienced the benefits of the BOKS program – we’d love it if you could share the article below and help spread the work so we can bring BOKS to more children across the globe. A supervised exercise program that gets young children running and playing for an hour before school could make them happier and healthier, while also jibing with the needs and schedules of parents and school officials, according to a new study involving two dozen elementary and middle schools . The results also caution, however, that the benefits may depend on how often children actually participate. Physical activity among children in most of the developed world has been on a steep decline for decades. National exercise guidelines in the United States recommend that children and adolescents engage in at least an hour of exercise every day. But by most estimates, barely 20 percent of young people are that active, and many scarcely exercise at all. Meanwhile, rates of obesity among children as young as 2 hover at around 17 percent, according to the Centers for Disease Control and Prevention.